Easy Weekend Baby Blanket - Free Crochet Pattern - love. life. yarn. I love projects that work up quickly – especially when they use super bulky yarn and make great gifts!! I am working my way through my stash (my dream is to use it all to make room for more – ha! Like that will ever happen! 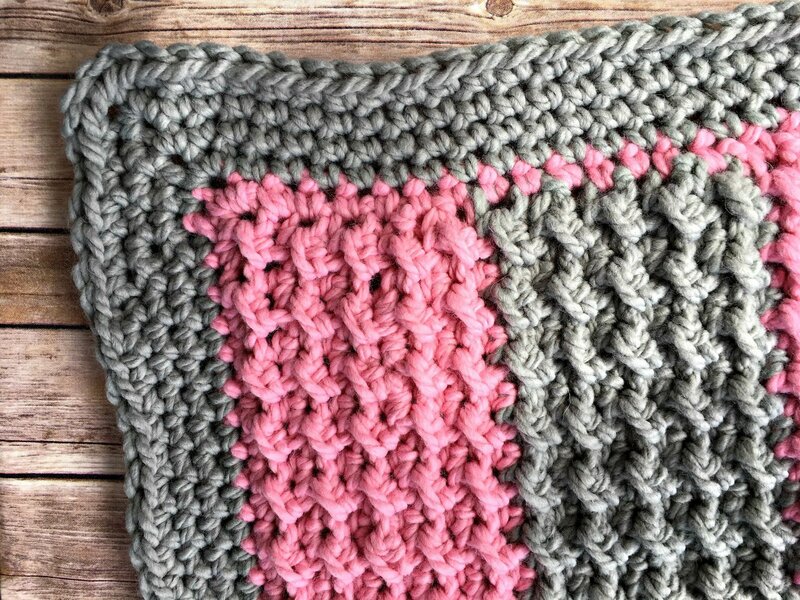 Here’s to hoping…) and wanted to make a blanket out of this adorable pink and gray yarn combo I picked up a while ago at JoAnn. I had other published work going on and thought there was no way I could finish this quickly – but I did! It can easily be made in a weekend and is so soft, warm, and squishy it would make an ideal baby shower gift. I made this for a friend who just found out she is having a girl. For those of you who don’t know, we are expecting our fourth boy this December – so no pink in our house (this is the last one!). We love having a house full of boys and I’m definitely not complaining, but I do so love making little girl things. *sigh* I will have to keep making them for my friends and coworkers! 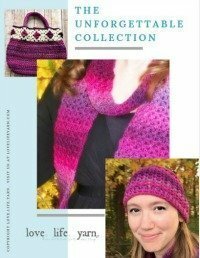 Favorite this pattern on Ravelry here! Stitch Pattern: Ch 2 (counts as hdc), *slip st in next hdc, hdc in next slip st; repeat from *, ending with slip st in turning ch; turn. Row 1: Slip st in 3rd ch from hook, *hdc in next ch, slip st in next ch; repeat from * to end; turn. Rows 2-60: Work even in stitch pattern, changing colors as noted in stripe pattern. Do not fasten off CC at end of last row. Row 1: Ch 1, sc evenly around outside edge of blanket, working 3 sc in each corner. Do not turn. Join with slip st to first sc. Rows 2-5: Repeat row 1 of border. That’s it!! This is seriously a simple pattern that works up so quickly. I hope you’ll give it a try. 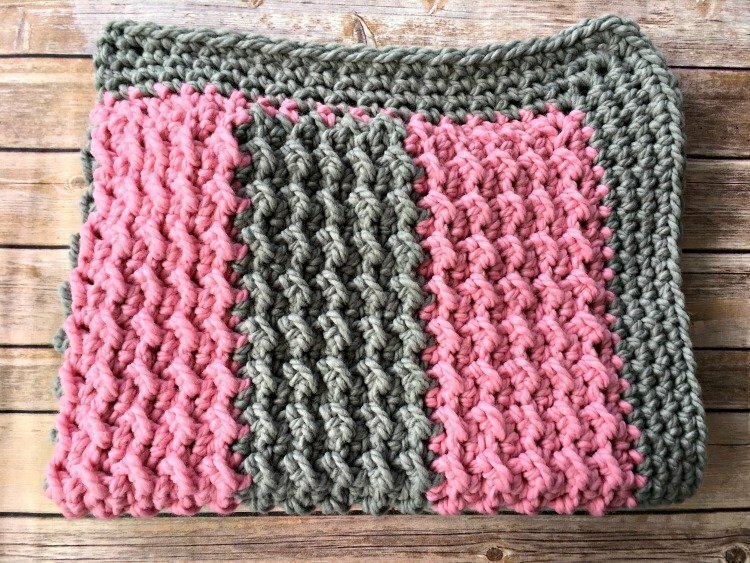 If you would like to see more baby blankets, be sure to check them out on this page, or you could view 10 Free Crochet Baby Blanket Patterns or 10 More Free Baby Blanket Patterns for some round ups! Is there a turning chain of 2. Yes, the instructions for the turning chain are in the stitch pattern section. 🙂 The turning chain is 2. I have 2 questions on this. 1) when you say it’s a 2+1.. does that mean I need to chain 37 and if I’m doubling it add 38 instead of just an additional 37? 2) when going to row 2, it says work even. Do you mean that I need to even out the 1st row, so row 2 would be hdc, then sl st, alternating opposite of row one? A multiple of 2+1 means you can work any odd number. Most crochet stitches are multiples of something and then a turning chain. So if you want to start out with a chain of 75 sts that would work. When you move to row 2 follow the instructions at the top for the stitch pattern. Work even just means that you keep the same number of stitches as the previous row. (Make sure you don’t accidentally add or subtract any). Then, you simply work this row until the blanket is as long as you want it to be. 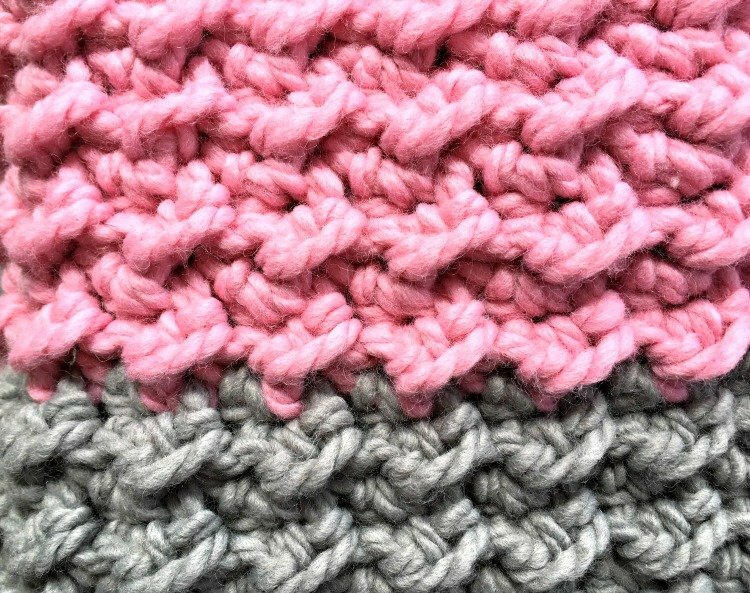 Can this pattern be made with regular (size 4) yarn? I do understand that it would taken more yarn and smaller needle. If it can, what size needle would you recommend? Thank you for this pattern! You inspired a new blanket of mine – https://www.etsy.com/listing/646916958/cute-creatures-handmade-crochet-baby. I love the texture of this blanket.